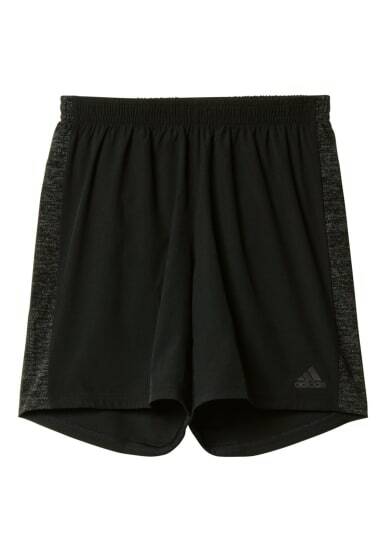 Chase your best time in ultimate comfort in these men's running shorts. A sweat-guard pocket keeps smaller items dry, while climalite® fabric sweeps sweat away from your skin. With reflective details. 18 cm inseam climalite® fabric sweeps sweat away from your skin Sweat-guard pocket helps keep items dry; Drawcord on elastic waist Reflective details Regular fit 86% polyester / 14% elastane plain weave Delicate machine wash only at no more than 30°,don't tumble dry and don't iron! -Delicate machine wash only at no more than 30°,don't tumble dry and don't iron!